Firstly Whenever you turn on the computer it will ask your password and then type the password and it will automatically switched to Desktop.Finally you use all the applications and files in the computer. I would Like to ask u a Question that.. If so many were forget the password then So many persons foolishly insert the OS disk and changed the OS and finally you may lost the files and folders that are present in the C(installation) Drive. But i will explain how to store passwords in a file through removable Disk(Pen Drive) and This approach is called password reset Disk. This file will may be stored in Gmail account or whatever you may store rather than books. Because when someone may stole your laptop then if he knows password he will easily open it and used it.So don't be childish to share paswords and be serious. I am advising you not to write your passwords on Dairy or books or calender ans so. If you are not Used For more than 10-30 days there is a chance to forget a passwordly mostly some of them not all people. 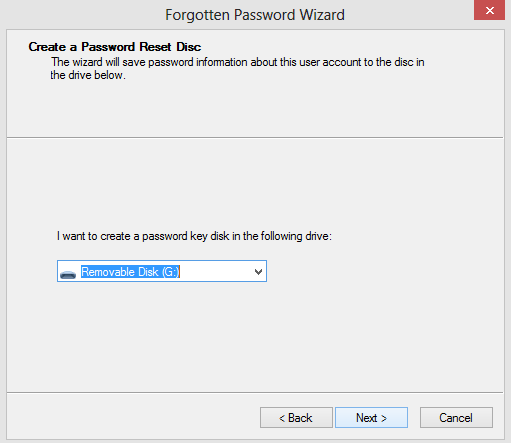 Steps To Create a Password reset Disk. 1.First Connect the pen drive to your Computer. No need to format the files it does not effect any other files and doesn't create VIRUS(Vital information resource under seize). 2.Then Go to User Accounts From the control panel. 3.After Selecting the User accounts twice then click on Create password reset Disk at the left side panel. 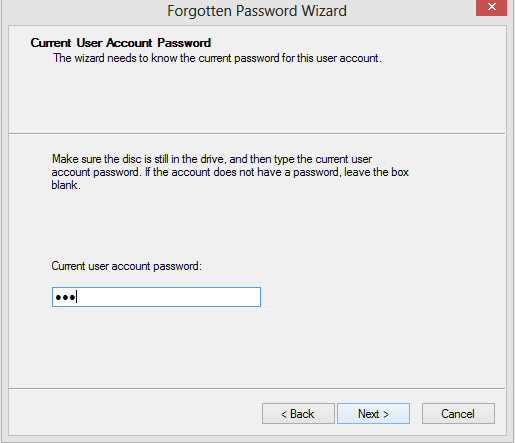 4.After clicking on the password reset disk it will open Forgetten Password Wizard as shown below in below screenshot. 4.After Words Click on the Next button and again asks you to type password and then re-enter the password and press Next and then it takes around 20 seconds for creating password reset Disk and click on Finish. Now the Disk is ready to use.Now Check the USB Device(Pen Drive) and see t he file named userkey.psw(2 KB File).By using this file you can use as many as times(10000 unlimited times) you can change the password with the single file for regular changes files. Just insert the USB Device where the userkey.psw file is stored before starting The Computer and Enter the password and it will show u a special option like Reset password. Just Click on that Option and It will ask your New Password Twice and Hint and click on Next. Now You may Use this Password as New Password From now onwards after changing the password through reset disk. This has Been tested on my own System i.e., Winodws 8 and Windows 7. You have to create the password reset disk before forgetting the password but after forgetting the password Then it doesn’t exists to create a password reset disk. 1.First Set my password as Amar. 2.Afterwords You change to nani using Password Reset Disk. 3.Still you change your password from nani to '@' using the same Passsword Reset Disk.